Does it seem like your air conditioner has cycled on and off more than usual in a short period of time? If you’re experiencing a scenario similar to this in your home, you’ve got a problem known as short cycling on your hands. Short cycling is, essentially, exactly what it sounds like. When a unit is behaving this way, it will power on and off in very short cycles and must be inspected by a professional for one fundamental reason — to get to the bottom of the problem. The thermostat is the heart of an air conditioner. When you adjust the temperature on the thermostat, this sends a signal that causes the unit to power on. The thermostat then senses the temperature inside your home, and once the desired temperature is reached, it powers off and doesn’t power back on until the temperature rises above this setting.When a thermostat fails, it doesn’t sense the temperature accurately. This inaccurate reading causes the unit to power on or off prematurely, which results in short cycling. Replacing or repairing the failed thermostat will often resolve the problem. However, if you commit to routine HVAC inspections, you can avoid this concern, as a technician will likely be able to spot a failing thermostat before it becomes a significant problem. Did you recently move into your home? Did you recently purchase a new air conditioner unit? If you responded yes to either of these questions, the reason for the short cycling you’re experiencing could be an improperly sized air conditioner. When it comes to air conditioner units, bigger is not always better.A larger unit will not make your home more comfortable; it will only cost you more money. Air conditioner units rely on temperature and timing sensors to keep a house cool. In this instance, what would seem like a good thing is actually the problem. Since large units will cool a home rather quickly, the system will sense this and force the air conditioner to keep powering on and off in these short bursts to maintain the temperature. Sometimes short cycling occurs as a protective measure. Many newer air conditioner units are designed to power off once they get too hot in order to minimize damage to the unit. 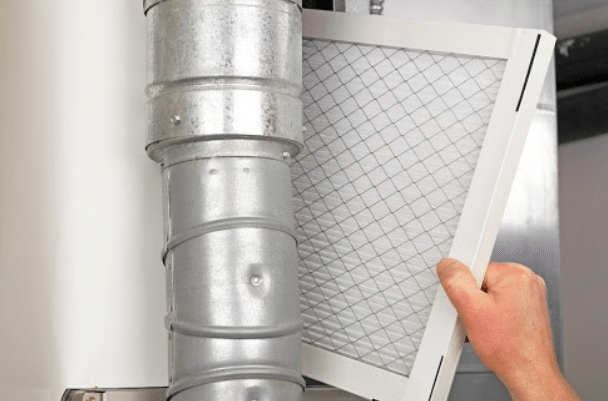 One common, and easily preventable, cause of overheating is a dirty filter.Filters are designed to trap airborne particles like pet dander, dust, mold spores, and dirt and prevent them from cycling through the air in your home. All filters have a capacity limit, and once the filter reaches this point, it will clog. When the filter is clogged, not only will the air quality in your home suffer, but the system will work harder and longer, which leads to the overheating. You should change the filter at least once every three months to avoid this problem. If your air conditioner is short cycling, it’s time to contact a trusted professional. Short cycling will lead to increased energy usage and increased energy bills, but most importantly, this problem will increase wear and tear on your unit, which can lower its lifespan significantly. It’s essential that you have the issue addressed. At Mauzy Heating, Air & Solar, we’re happy to deliver the professional assistance you need. Contact us so that we can inspect your air conditioner and get to the bottom of the problem.